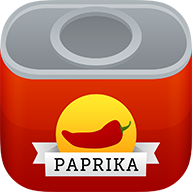 Update: Paprika 3 for iOS, released November 2017, is universal. iPhone and iPad apps are no longer sold separately. Please contact Apple to request a refund of the incorrect version of the app, and then purchase the correct version through the App Store. You can request a refund of your incorrect purchase via the "Report a Problem" link in your emailed receipt.